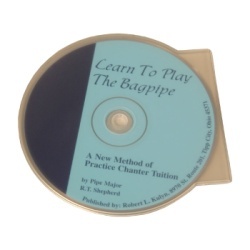 By Pipe Major R. T. Shepherd, This audio tutorial can be used alone or to accompany the book (available separately - LRSB.) Please note: the CD follows the book from page one to the beginning of chapter 8. The rest of chapter 8 and all of chapters 9 and 10 are not on the CD.